John L. Arnold, a resident of Lake Township for over 20 years was appointed to fill the unexpired term on the Board of Lake Township Trustees on November 27, 2006 and is serving his fourth term in office. He is the current board president. Mr. Arnold and his family have been members of the local business community since 1963, operating Arnold Funeral Homes. 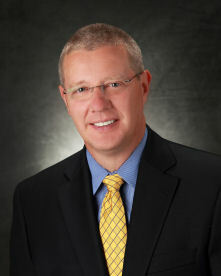 John has been president of the company since 1993. He has volunteered in the community with a variety of organizations that include, Board Member of Lake Township YMCA, past Board Member and current member of Lake Township Chamber of Commerce, Lake Township Rotary Club, Hartville Lions Club, Past Secretary and President of Hartville Volunteer Fire Department and Aultman Hospital Health Care in Your Home and Hospice Advisory Committee. John has four sisters, has been married to his wife Debbie since 1985 and they have two children, John and Rachel. Steve Miller is a lifelong resident of Lake Township and is serving in his first term as a Lake Township Trustee. Steve is a graduate of Lake High School and attended Ohio State university before returning to Lake Township to take a job for a local home builder. 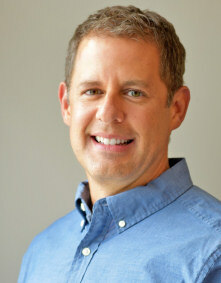 Steve is now the owner of Rembrandt Homes, a local homebuilder with a major focus in Lake Township. Steve is active in the community volunteering through his local church and coaching youth sports through the YMCA. Steve has a passion and a vision for what Lake Township can become in the future. Steve is married to his wife Holly and they have four children, Cierra, Koby, Taelor, and Braidon. Jeremy Yoder, a lifelong resident of Lake Township is serving his first term as a member of the Lake Township Board of Trustees. Jeremy and his family have been members of the local business community and he also brings many years of industry and leadership experience. After graduating from Mount Union College with a Bachelor’s in Science, he also earned multiple graduate degrees, an MBA from Walsh University and Master’s in Public Health Leadership from Kent State University. He is active in volunteering with local youth sports organizations and passionate about the community. Jeremy has been married to his wife Claudia since 2001 and they have two children, Sophia and Caden.